The Big One® 2-pk. Gel Memory Foam Bed Pillows Just $14.39! You are here: Home / Great Deals / The Big One® 2-pk. Gel Memory Foam Bed Pillows Just $14.39! 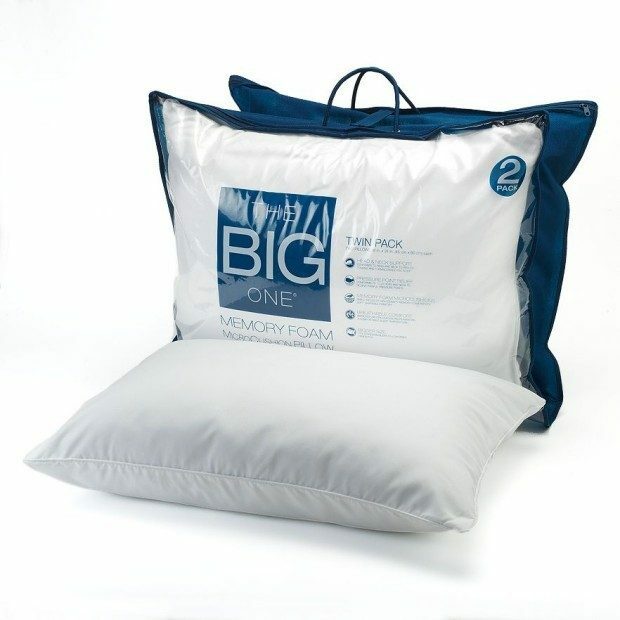 Head over to Kohl’s to pick up The Big One® 2-pk. Gel Memory Foam Bed Pillows for Just $14.39! Regularly $70, this two pack is on sale for $17.99! Take an additional 20% off when you use promo code DEALSEEKER (ends 12/1) at checkout! This is a fantastic price so stock up! Get FREE standard shipping with a $25 purchase through 12/1!